Book Now! Our Cincinnati Airport Hotel Makes Getting There Fast and Easy. 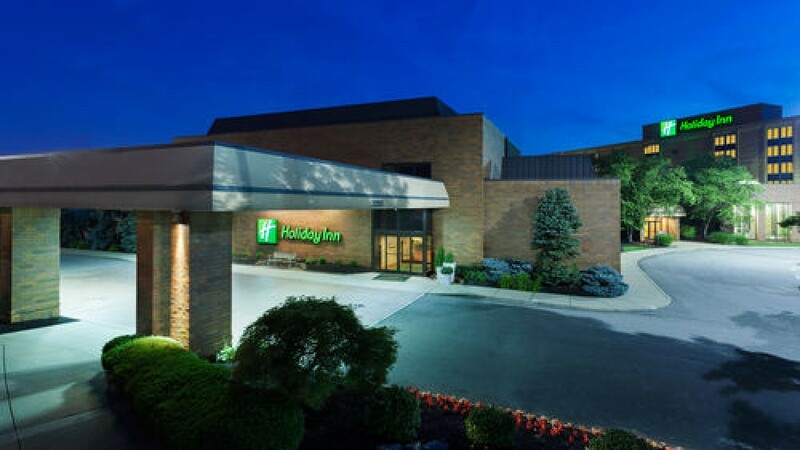 You’ll find great Cincinnati hotel deals at our Holiday Inn® Cincinnati Airport hotel in Erlanger. We’re close to the Cincinnati Airport (CVG) and we offer a free airport shuttle service and parking to make your life easier. Plus we’re close to area attractions & businesses. Corporate travelers love our location because our hotel is not only close to the Cincinnati Airport, but we’re close to Toyota North American Headquarters, DHL, Alstom Power, BlueStar and Cincinnati Technology. Our Erlanger hotel is also near Northern Kentucky University and other local companies. You can host meetings or events with our 13,000-sq ft meeting space, superior catering and detail-oriented staff. If you’re looking for Cincinnati hotel deals for leisure travel, you’ll love our Cincinnati Airport hotel because you’re near the attractions you want to see. The Creation Museum, US Bank Arena and the Newport Aquarium are all easy to visit. Why not catch a game at the Great American Ballpark that’s just 12 miles from our hotel? Guests of our Erlanger hotel are treated to excellent amenities including an indoor lap pool, whirlpool, dry Sauna and a well-equipped Fitness Center. You can enjoy the casual ambiance of McKenna’s Restaurant & Lounge serving contemporary American fare. Plus you get free high-speed, Wi-Fi Internet access. For the finest stay in the Cincinnati area, choose our Erlanger hotel. Book your own lodging! Choose "GETAWAY PACKAGE" rooms for Special DAT Travel rates!